So a few weeks ago, I noticed my hands were already starting to get dry and cracked and we had just had our first cool front blow through Houston. I knew I had to start using something that would heal my hands quickly and keep them hydrated through the winter. I reached out to my FB friends and family asking what would help and I got lots of advice, but the 2 remedies that most intrigued me (because I had not tried them) were Coconut Oil and O'Keeffe's Working Hands. Before I give you my opinions, I have to confess that I am not very disciplined when it comes to using hand or body lotion. I don't like the feel of lotions and I don't like having to reapply as often as you need to (because lotions wash off so easily). The first few days I tried the Coconut Oil right out of my pantry. I liked the fact that it was something I had on hand and it was easy to use. Here are the benefits of using the coconut oil: I did see some improvement in the condition of my skin. 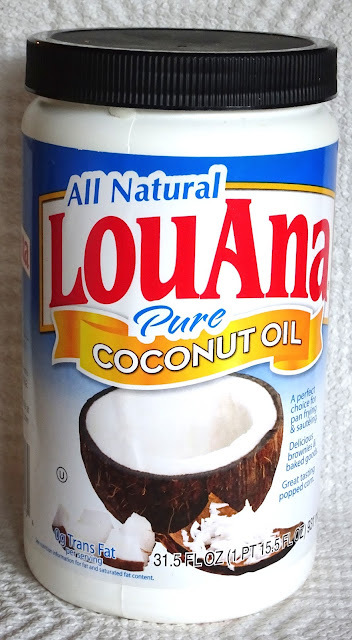 Here are the negative things about using coconut oil: I had to wear gloves. I like to read FB and catch up on news via my iPhone at night and you can't use an iPhone and wear gloves at the same time. Gloves are get hot and I swear they absorbed most of my coconut oil. On the third day, I decided to find some O'Keeffe's Working Hands. A tube of the hand lotion cost about $7.00 at the store. Here are the benefits of this product: Only a small amount of lotion is needed. It did not feel greasy. I didn't need to wear gloves AND I could read my iPhone. I woke up the next morning with much softer hands and the cracks were almost gone. I have been using it almost every night for a few weeks now and even my cuticles are softer too. I can't really find anything negative about the product. If you suffer with dry hands and don't like to constantly apply lotions, I highly recommend O'Keeffe's Working Hands! If you have any other remedies for dry, cracked hands, please let me know!